In 2016, the dark metal band Chontaraz was formed in Hell, Norway. One year later they released their debut album, called Rondamauh. At the start of this month Chontaraz released a successor of Rondamauh. This successor is titled Speed The Bullet. Chontaraz’ lineup on Speed The Bullet differs on one position compared to the lineup that can be heard on Rondamauh: drummer Yeqy is replaced by Naagh. The other members of Chontaraz are guitarists Ahkon and Kraakh, bassplayer Rhimm and the vocalist with the same name as the band: Chontaraz. With Speed The Bullet Chontaraz delivers an album on which melody and heaviness are perfectly bend together in a very well equally divided way. For example the start of Blue Skies Turn Black and One, the perfectly between two heavy tracks placed piano-ballad, are quite melodic. On the other hand there are, for example, Ra Fa El, which sometimes almost sounds like symphonic black metal with its symphonic aspects and screams, and Inflict and Self Destruct, which are heavier. Inflict and Self Destruct is probably the most pounding track on this album completely grooving with lingering guitars, slamming drums and of course the ritualistic sounding beginning. This track is also my personal favorite of Speed The Bullet. Besides the lingering guitars in Inflict and Self Destruct, Ahkon and Kraakh show that they can get more nice things out of their guitars. For example, they nicely roar their guitars during the end of the title track or in the very awesome solo of Echoes. Fences and Cry are two other tracks that contain some great solo’s, but those are less epic as the one in Echoes. Echoes also contains quite a few rhythm changes and instrumentally sounds a bit complex which adds to this track’s strength. At some moments there are also some added electronic influences to be heard. Those are regularly present on this album, which fits very well in Chontaraz’ music. Those electronic influences surely add something to the tracks, like in Ra Fa El, but they aren’t predominant. One instrument is present a bit too much in the mix: the drums. This can be a bit distracting at some moments. About the vocals, I already mentioned the screams in Ra Fa El. However, Chontaraz also delivers other vocal styles on this album. He regularly shows his clean vocals which are pretty melodic and mainly quite high. At some moments his clean vocals could also perfectly fit in some power metal. However now the contrast between his vocals and the music is bigger which has a very nice combination as result. An example of Chontaraz’ clean vocals can be heard in Cry. Chontaraz closes Speed The Bullet with the track Kraakh, which, with its perfect combination of melody and heaviness, is a very nice closing track of a very nice album on which this is well divided as well. 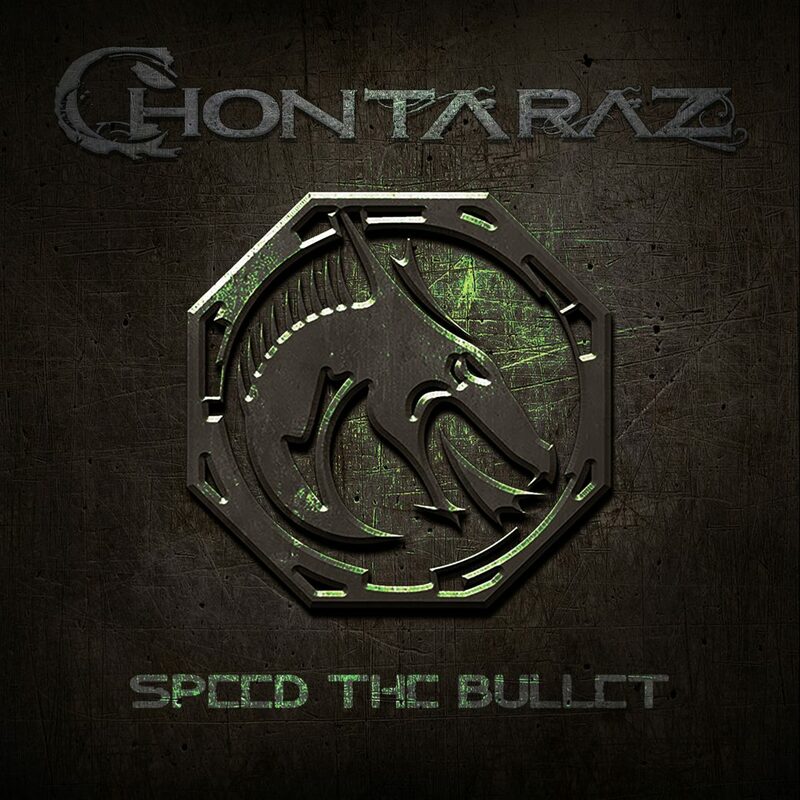 It is clear that Chontaraz delivers a very strong album with Speed The Bullet and I would surely recommend to check this album out!